Community-acquired pneumonia in children. EBSCO DynaMed Plus website. Available at: http://www.dynamed.com/topics/dmp~AN~T113670/Community-acquired-pneumonia-in-children . Updated August 15, 2017. Accessed August 23, 2017. Immunization schedules. Centers for Disease Control and Prevention website. Available at: http://www.cdc.gov/vaccines/schedules/index.html. Updated February 7, 2017. Accessed August 23, 2017. Pneumonia. Kids Health—Nemours Foundation website. Available at: http://kidshealth.org/parent/infections/lung/pneumonia.html. Updated May 2011. Accessed August 23, 2017. Pneumonia. WHO website. Available at: http://www.who.int/mediacentre/factsheets/fs331/en/. Updated September 2016. Accessed August 23, 2017. Pneumonia in Children. Bostons Children's Hospital website. Available at: http://www.childrenshospital.org/conditions-and-treatments/conditions/pneumonia. Accessed August 23, 2017. 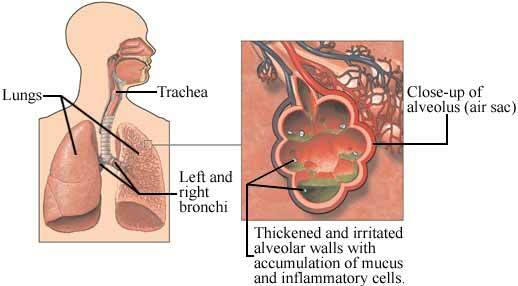 Pneumonia in Children. Children's Hospital of Philadelphia website. Available at: http://www.chop.edu/conditions-diseases/pneumonia-children. Accessed August 23, 2017.